Everyday more than 180 people turn the dream into reality. From graphic design to customer service, from marketing choices to craftsmanship and attention to detail, we’ve worked hard to achieve the levels of quality and innovation that have made Album Epoca famous worldwide. Unsurprisingly, over 20,000 professional photographers have connected with our desire for excellence. 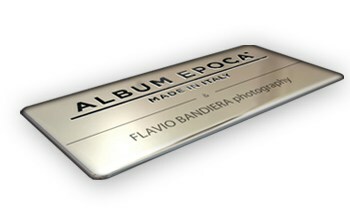 The Album Epoca brand is owned by Photosì S.p.A. an European leader in digital photographic printing market. Photosì S.p.A. is a professional photographic lab that has been operating since 1973. The headquarters, located in Riccione (Italy), involved an area of 5,000 square feet of production, offices and warehouse, with more than 180 employees divided between management, marketing area, laboratories, research & development, production and customer care. News 2014: FRAMES (Wall & Tabletop)! Our search for perfection is never-ending. Not to boast, but a reminder of our technological leadership. In 2001, our passion for product perfection led us to invent and patent a continuous page binding system that removes the bothersome interruption normally found between the right and left-hand pages. This technology has since become a global standard.